I should have known, but all through my years as a member the LDS church, from sunbeams to young women’s, I only ever heard people say, “Modest is hottest!” While that's meant as a reinforcement of modesty for the young women of the church, it just made me uncomfortable. Our purpose on this earth is not to be supposedly “hot,” it is to be our best selves and to please the Lord so we can be with Him again, right? The dicitonary.com definition of modesty is "regard for decency of behavior, speech, dress, etc." Someone who refers to him or herself as "hot" is not a particularly modest person, as referring to yourself as hot may not be regarded as having decent behavior or speech. In fact, that type of person is more likely be described as self-important or self-righteous (and I think we all know what those mean). Modesty is often talked of in terms of dress and appearance, but modesty encompasses much more than the outward appearance. It is a condition of the heart. It is an outward manifestation of an inner knowledge and commitment. It is an expression that we understand our identity as daughters of God. It is an expression that we know what He expects us to do. It is a declaration of our covenant keeping. Keep this in mind next time you try to tell someone what modesty is: it’s not about the way you look or the way you dress. It’s a condition of the heart. 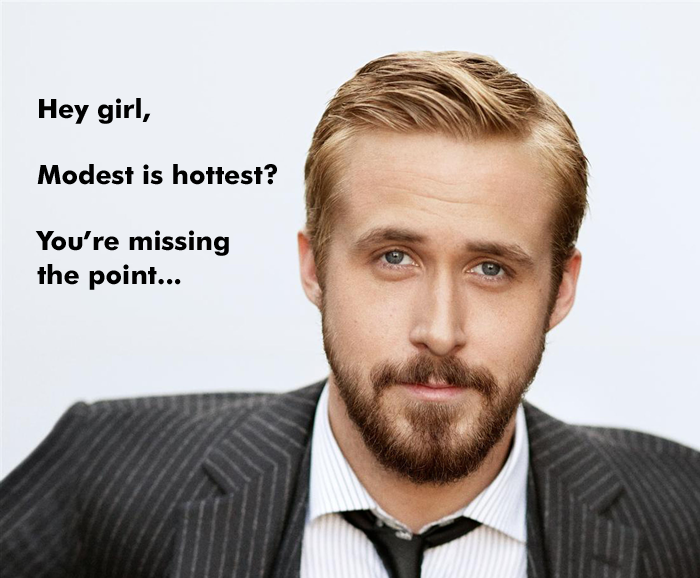 It’s not “Modest is hottest.” It’s “Modest is what’s right and it’s what will keep me on my path to eternal life with God.” Before you walk out the door, give yourself a look-over in the mirror. Not at your outfit. Look at yourself. Ask yourself “Am I living the way The Lord wants me to live?” Ask yourself this every day, and I can almost guarantee that you will be well on your way to true modesty. This is absolutely true. Thank you for this. Fantastically written and so true. I was the same way when I was younger. It's a very good way to look at it. Thank you. I plan to share this with the YW in my ward (I am YW president). Thank you.